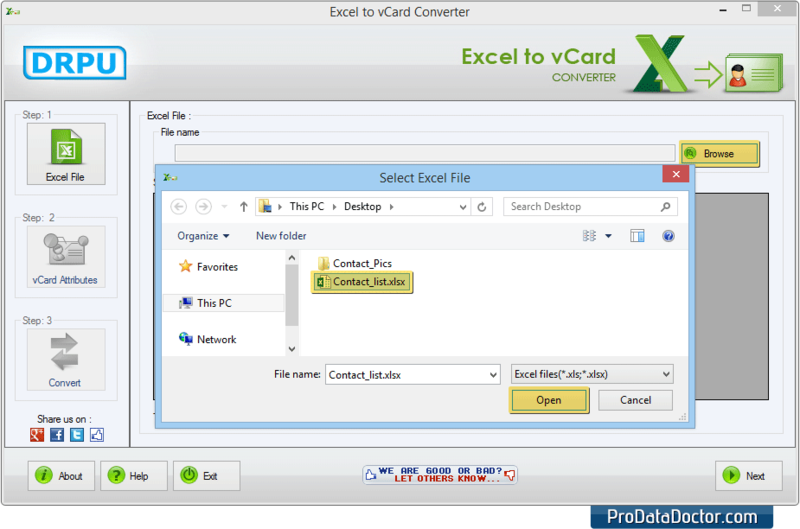 Browse contact excel file that you want to convert. 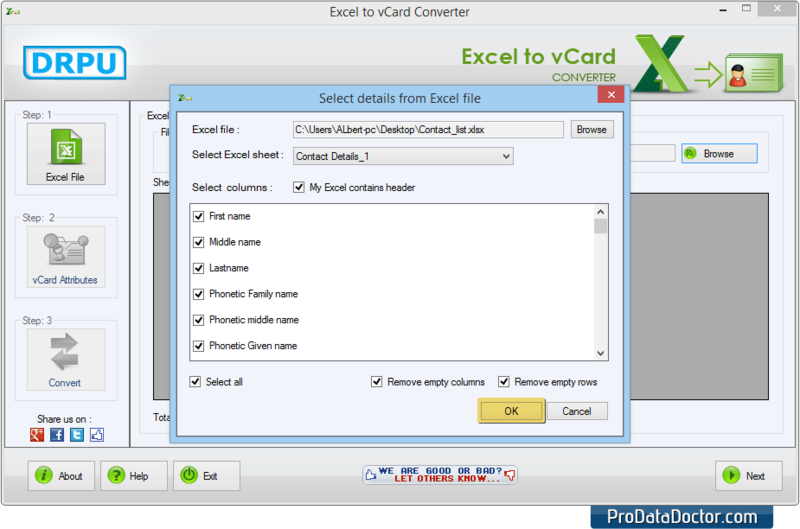 Check on My excel contains header option if your excel contains header and check on remove empty columns and rows option. 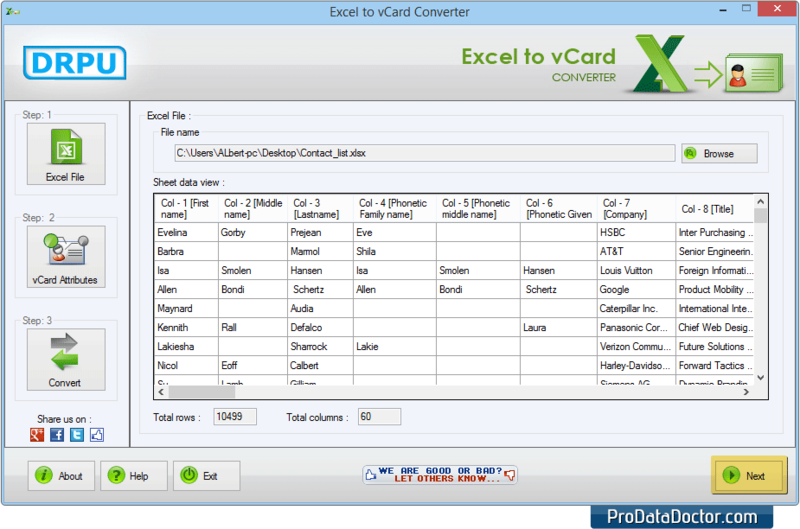 View excel sheet data and click Next button. 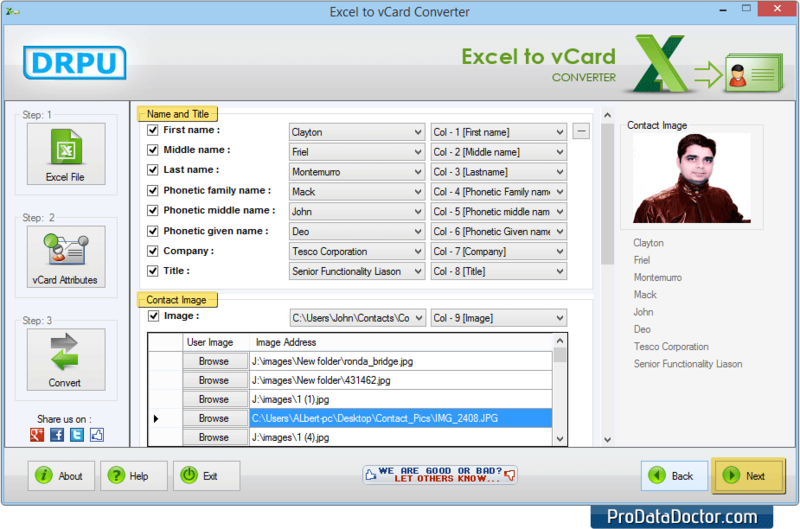 Select vCard attributes including First Name, Middle Name, Last Name, Contact Image, Phone Numbers, Emails, Address etc and click Next. 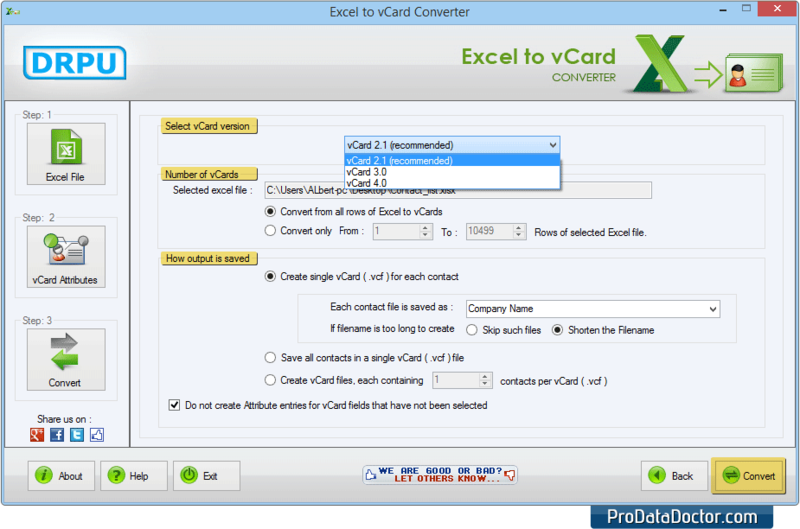 Select vCard version, Number of vCards, How output is saved, and click Convert button.